Can you identify these girls? 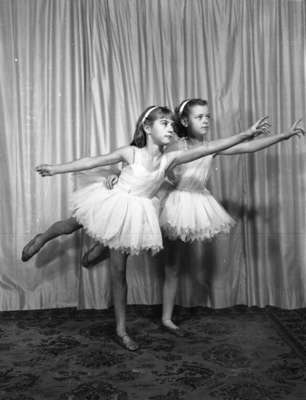 Two unidentified girls in dance costume posing for the camera. Mrs. Wilson’s Dancing Girls, c.1940, Marjorie Ruddy. Whitby Archives A2013_040_1186.